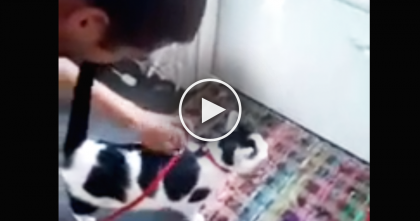 This little kitty just wants to have some fun, but his human friend just keeps doing homework! 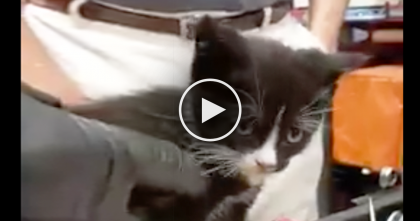 So what’s a tiny kitten to do? 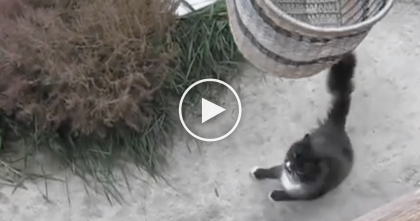 The little fluff tries everything…looking up adorably with his pleading eyes, (how could anyone say no to that sweet face??) trying to steal the pen, and finally laying on top of the papers itself. 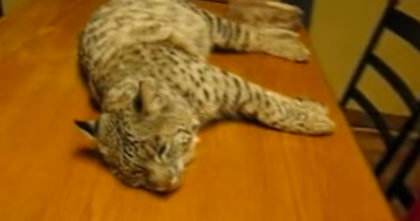 Watch His Reaction When A Human Starts Petting A Wild Rescue Bobcat… This is AMAZING!! 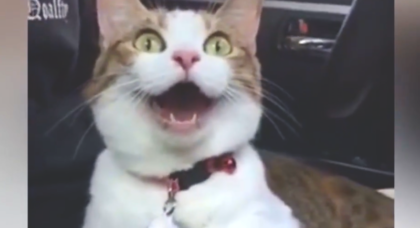 When This Cat Hears The Word “Walk”, You Won’t Believe What She Does… OMG.